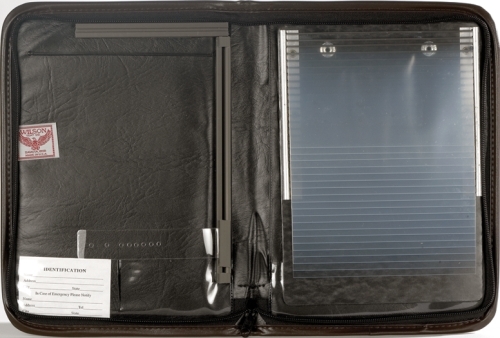 Blue Combination Vinyl Log Book Cover and Document Holder 4-RVN-BL makes a handy organizational tool for any cab. It helps your drivers can keep their log books and documents in one safe place. The log book cover/holder also includes a 20-unit snap-out flip-file, a slide rule fixture, an ID pocket, and 2 additional pockets for driver paperwork.